Leaders of five organisations of survivors of the Union Carbide disaster in Bhopal today announced the successful completion of the petition to the US White House in the matter of the criminal case on the disaster. 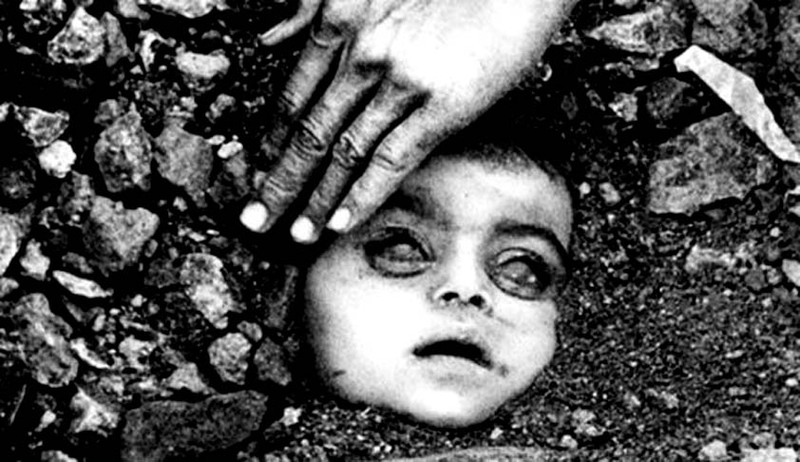 “In 1984 a factory majority-owned by Union Carbide (UCC, a US corporation) leaked toxic gas in Bhopal, India, killing 8K-10K people instantly & maiming 500K more. India charged UCC with manslaughter, but UCC refused to show for trial. Dow Chemical bought UCC in 2001 but has not made UCC available to face charges. Under a Mutual Legal Assistance Treaty, India sent 4 notices to the US Dept. of Justice to summon Dow to explain UCC’s whereabouts. The DoJ has ignored or obstructed every notice. The same DoJ made BP pay $4 billion in criminal fines and penalties for Deepwater Horizon. 31 years of US protection of UCC and Dow must end. If a petition gathers 1 lakh signatures, White House administration is bound to give an official update to it within 60 days. The leaders are hopeful that in the process of responding to the petition the US Department of Justice will serve the Bhopal District Court's notice on Union Carbide's present owner Dow Chemical so that it appears in the criminal case on July 13. The organisations said that they have sent a letter to the Prime Minister, Narendra Modi, seeking directions to the prosecution, Central Bureau of Investigation to call for harsher measures against Dow Chemical if it fails to appear on July 13. Said Rashida Bee, President of the Bhopal Gas Peedit Mahila Stationary Karmchari Sangh "One month is not yet over and we have collected more than 117 thousand signatures on our petition. As per the terms of the White House website, the US government is obliged to respond to our petition within the next 30 days." The White House website shows that the petition created on May 15, 2016, has so far gathered 1,20,726 signatures. "We are hopeful that the Prime Minister will take note of this historic challenge by the Bhopal survivors and their international supporters and instruct the CBI to seek issuance of non-bailable warrant against Dow Chemical if it fails to appear in court on July 13." said President of the Bhopal Gas Peedit Nirashrit Pensionbhogee Sangharsh Morcha, Balkrishna Namdeo. Nawab Khan of Bhopal Gas Peedit Mahila Purush Sangharsh Morcha thanked Hollywood actor Martin Sheen, MIT professor Noam Chomsky, Canadian writer Margaret Atwood, Association for India's Development, USA, The Logical Indian, Chennai rapper Sofie Ashraf, US trade union AFL - CIO, Greenpeace,USA, Amnesty, Story of Stuff network and students from different US universities for their contributions towards making the petition a success. "Once Dow Chemical appears in court it will have to present Union Carbide to face trial. A successful trial can very well lead to Union Carbide having to pay heavy criminal fines in keeping with its grave criminal acts and its terrible consequences. Hopefully the fines will be large enough to supplement the meagre compensation victims have received so far." said Rachna Dhingra of the Bhopal Group for Information and Action. Safreen Khan of Children Against Dow Carbide said "US government’s support to Union Carbide and its criminal practices dates back to 1975 when the then Secretary of State Henry Kissinger facilitated EXIM bank loans for the pesticide plant in Bhopal. This is the first time that the hypocritical and unethical stand of the US government has been successfully challenged."